BOOM! Studios and Twentieth Century Consumer Products are excited to announce PLANET OF THE APES: URSUS, a comic book series launching in January 2018 about the classic franchise’s most notorious villain. 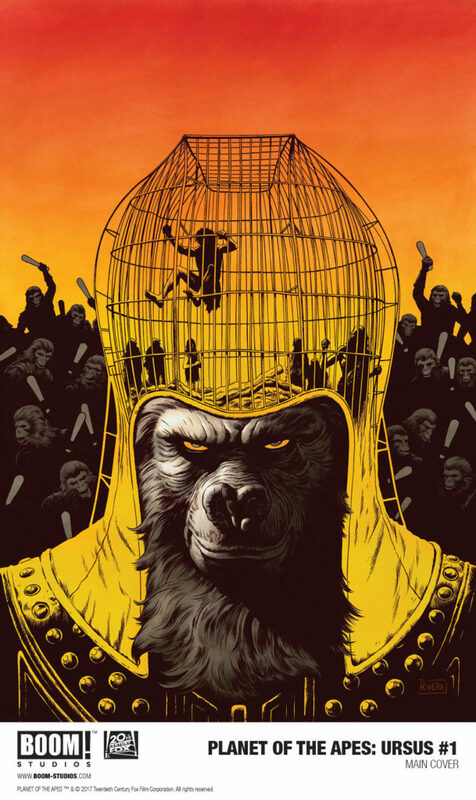 Written by David F. Walker (Power Man & Iron Fist, War for the Planet of the Apes) and illustrated by Christopher Mooneyham (Five Ghosts)—both longtime fans of the franchise—the series will follow the rise through the ranks of the ape who has hated (and feared) mankind the most, including what first brought him to the Forbidden Zone. This is the first project from BOOM! Studios in 2018 as part of their yearlong celebration of the franchise’s 50th anniversary. PLANET OF THE APES: URSUS features a main cover illustrated by Paolo Rivera (Daredevil), an intermix cover by Michael Allred (Silver Surfer), a subscription cover by Becca Carey (The Waves That Break), and a variant cover by the legendary Bob Larkin, presented in mock magazine cover format and virgin. This cover by Larkin, who illustrated over a dozen painted covers for Planet of the Apes magazine, was unused during the classic magazine run and has never been published before. “It’s an incredible honor to be able to show fans this never-before-published cover from Bob Larkin, someone who helped define the Planet of the Apes world for millions of comic fans!” says Dafna Pleban, BOOM! Studios Editor. 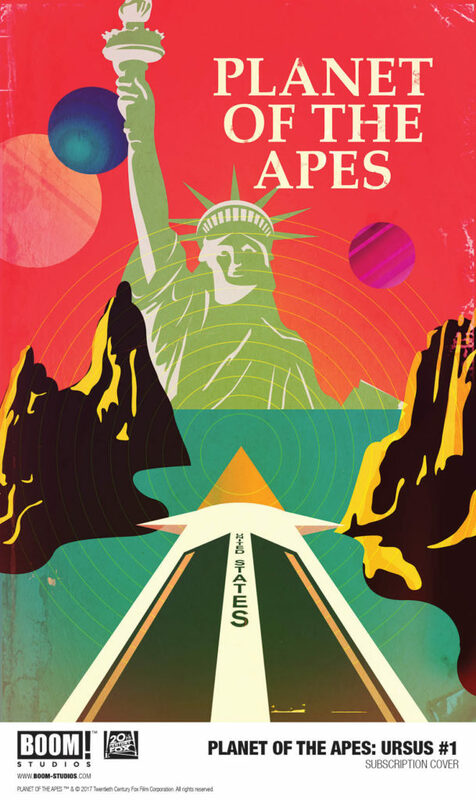 Print copies of PLANET OF THE APES: URSUS #1 will be available for sale in January 2018 at local comic book shops (use comicshoplocator.com to find the nearest one) or through the BOOM! Studios webstore. Digital copies can be purchased from content providers, including comiXology, iBooks, Google Play, and the BOOM! Studios app. 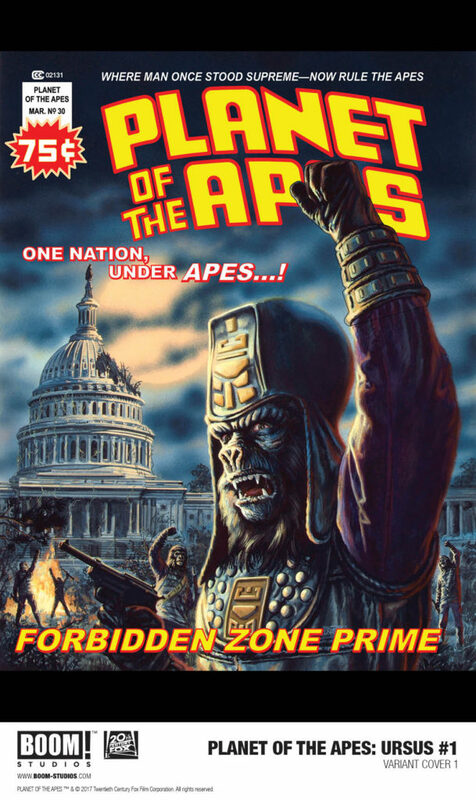 PLANET OF THE APES: URSUS is the latest release from BOOM! Studios’ eponymous imprint, home to a world-class group of licensed comic book series and ambitious original series, including WWE, Mighty Morphin Power Rangers, Big Trouble in Little China, Victor LaValle’s Destroyer, Mech Cadet Yu, Grass Kings, and Klaus. 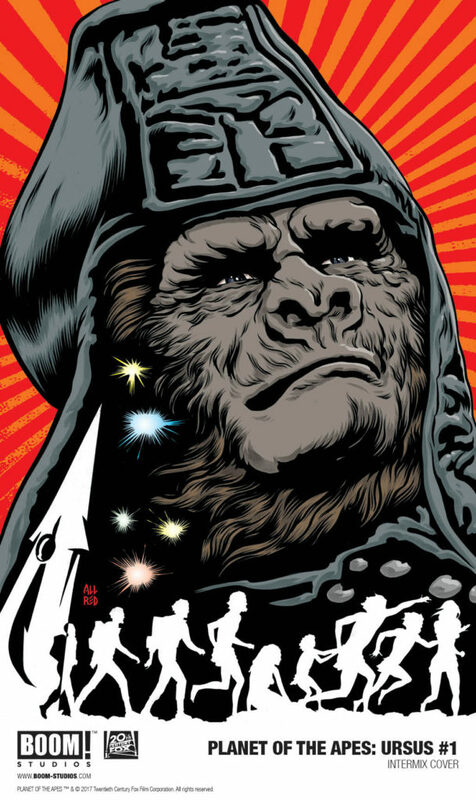 For continuing news on PLANET OF THE APES: URSUS and more from BOOM! Studios, stay tuned to www.boom-studios.com and follow @boomstudios on Twitter.